The Prince George's County Fire/Emergency Medical Services Department is currently accepting applications for the position Fire Fighter I/II. Click on the link above for additional information and apply on-line. 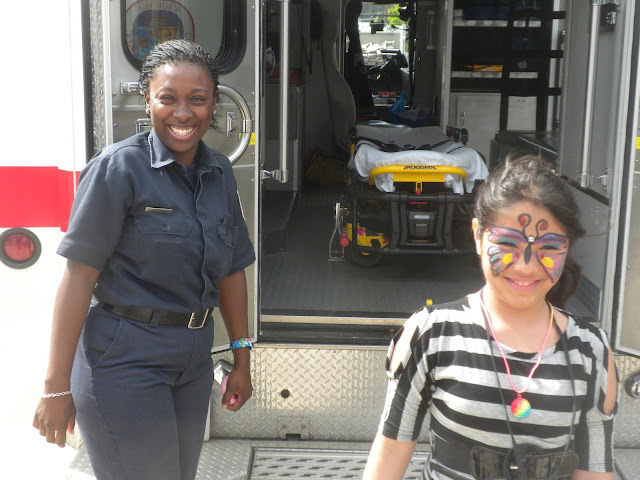 The Prince George's County Fire/Emergency Medical Services (EMS) Department is currently seeking qualified candidates for the position of Fire Fighter I/II, grade Y-01. 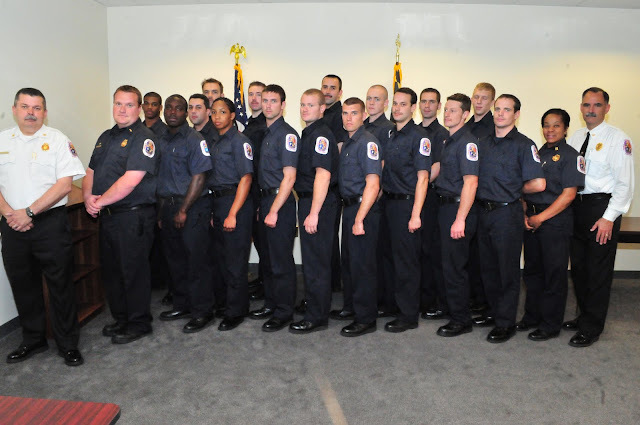 Recruits are trained in the Fire/EMS Training Academy as Fire Fighter I. This position is entry-level firefighter trainee work responsible for combating and preventing fires, operating and maintaining Fire and EMS equipment, apparatus and quarters; providing first aid, basic life support; and transporting patients. This work may expose incumbents to hazardous conditions/situations and includes the operation of emergency vehicles and equipment. Fifteen members of Career Recruit School (CRS) #42 took their Oath of Office today for the position of Firefighter/Medic. CRS #42 commenced on February 28, 2011, with 24 new recruits. Fifteen of these recruits have prior experience and training certifications as firefighters and Emergency Medical Technicians. 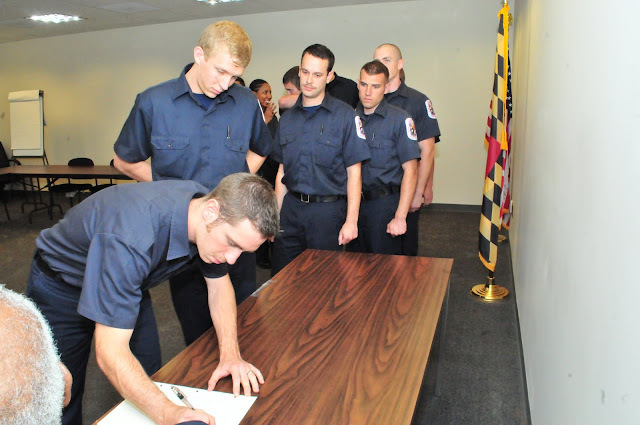 This prior experience and certifications will allow these recruits to depart the training academy at the end of this week and be assigned to work at Fire/EMS Stations. 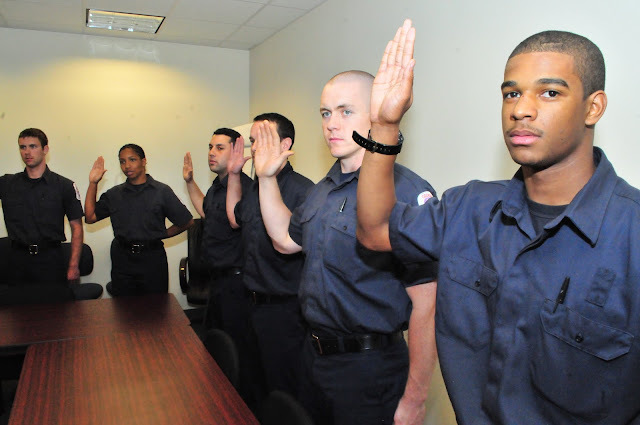 Before taking on the responsibilities of a probationary Firefighter/Recruit in the field, recruits must become sworn members of the Department. At 11:30 am, Monday, May 2, 2011, at the Courthouse in Upper Marlboro, Clerk of the Circuit Court for Prince George’s County, Maryland, Marilynn M. Bland administered the Oath of Office to these 15 members and witnessed by Acting Fire Chief Marc S. Bashoor, Major H. “Butch” Leonhard and other instructors from the Fire/EMS Training Academy. 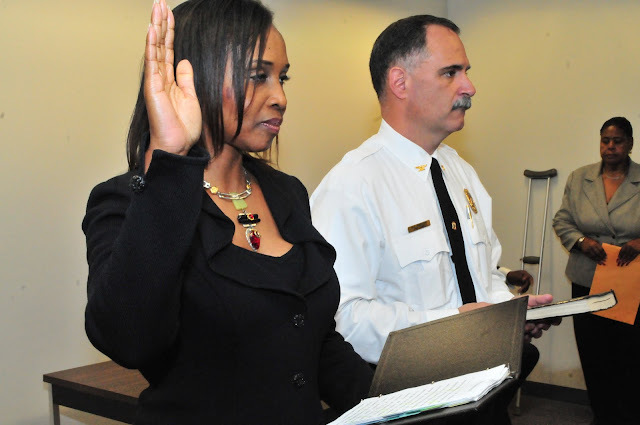 Clerk of the Circuit Court for Prince George's County Marilynn Bland administers the Oath of Office with Acting Fire Chief Bashoor serving as the witness. Recruit Firefighters with DCFD Lt. Alvarado at a blood donation event in Laurel. Firefighter recruits from the Prince George's County Fire/EMS Department's Career Recruit School #43 took it upon themselves to help other firefighters by donating blood. On Saturday, April 30, 2011, several members met Lt. Rob Alvarado from the District of Columbia fire Department and one of the organizers of the Hogs & Heroes Benefit Blood Drive held at Old Glory Harley Davidson in Laurel. This blood drive was conducted in the name of four DCFD Firefighters injured at a house fire and treated at the Burn Unit at the Washington Hospital Center. Fire Lt. Alvarado expressed his gratefulness for their attendance and was extremely impressed with their overall conduct and behavior. Congratulations to the members of CRS 43 for your participation and representing the Fire/EMS Department in a professional manner. Firefighters from the Bowie area battled a blaze in a 2-story, Cape Cod style home, this morning. At about 2:15 am, Monday, May 2, 2011, firefighters arrived at a home in the 3600 block of Mabank Lane and encountered heavy fire showing. The home occupants had evacuated safely prior to the Fire/EMS Department arrival. It required 25 firefighters about 30 minutes to extinguish the fire. There were no civilian injuries, however, three firefighters sustained injuries and transported to area hospitals. All injured firefighters have since been treated and released. The fire appears to have started in the area of the kitchen on the first floor and the cause of the fire remains under investigation. Fire loss is estimated at $100,000. The 2 home occupants will be displaced and are making their own arrangements for housing. 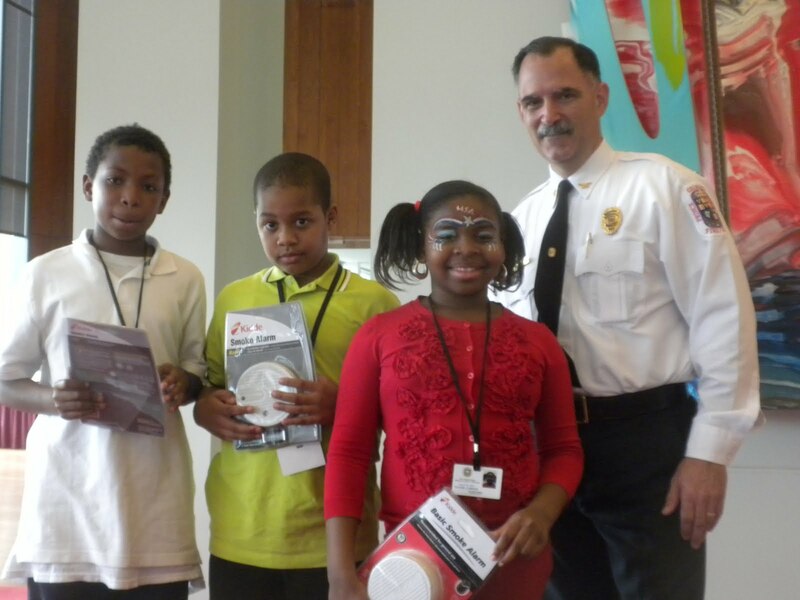 The Prince George’s County Fire/Emergency Medical Services (EMS) Department recently took advantage of an opportunity to interact with a group of young men and women and talk about fire safety and injury prevention. 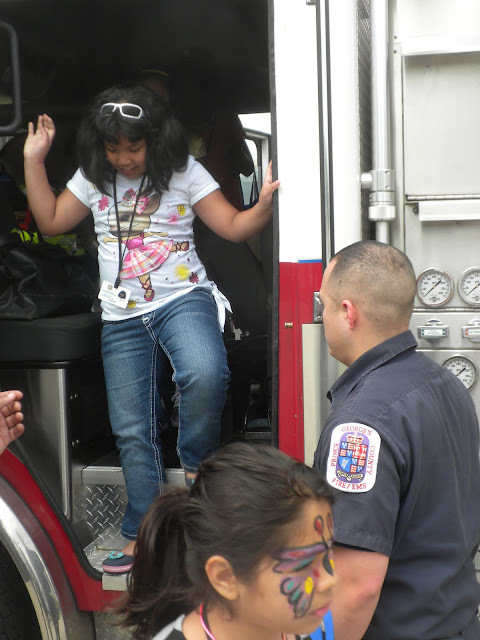 On Thursday, April 28, 2011, The United States Census Bureau, 4600 Silver Hill Road, Suitland, held a “Bring Your Youth to Work Day” and invited the Fire/EMS Department to interact with the youth. 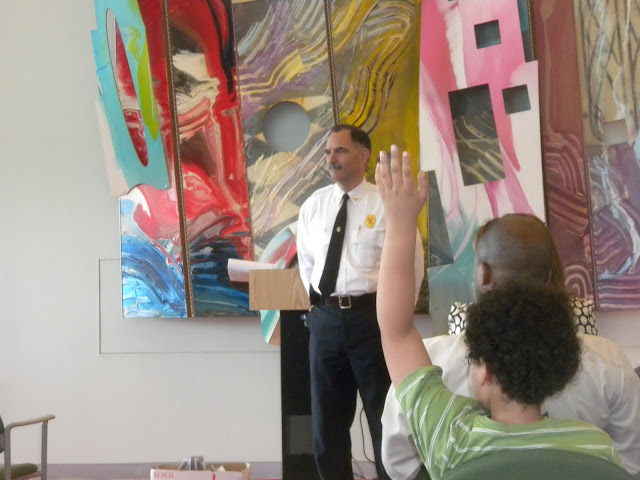 Acting Fire Chief Marc S. Bashoor provided an educational speech and reviewed items learned throughout the day to the gathered participants. 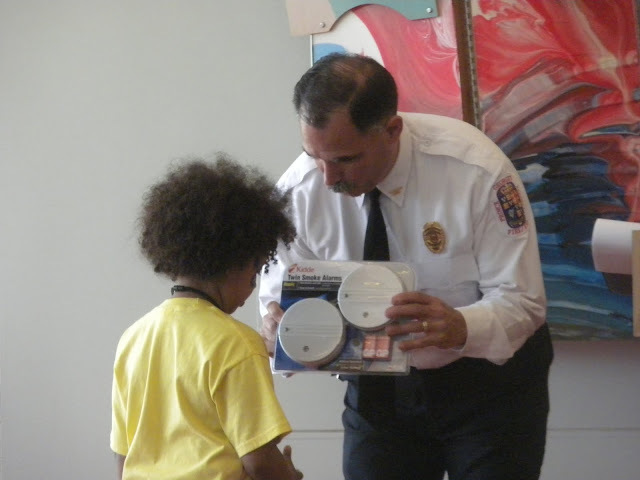 Bashoor awarded smoke alarms to the children that were able to provide correct answers to questions he posed about fire safety. 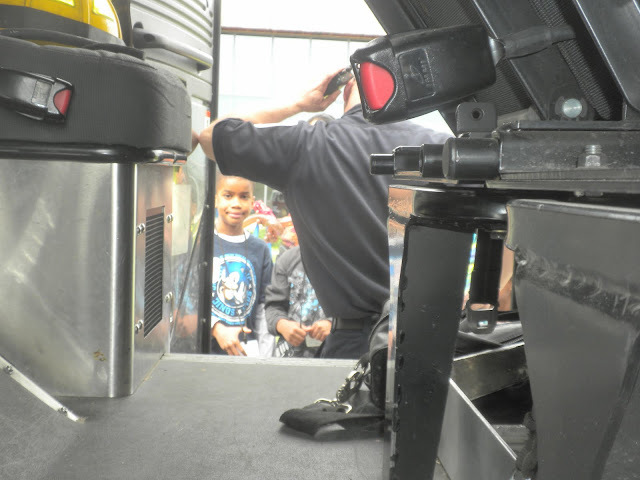 Chief Bashoor, with the assistance of the Community Outreach office and 3rd Battalion Firefighter/Medics, also provided tours of fire and EMS apparatus from District Heights Fire/EMS Station #826 and Silver Hill Fire/EMS Station #829.